Input the access data registered in our website In the Email Address field insert the email you registered in our website. In the field Password insert the password registered in our website. In case you don’t remember your password, press the “Forgot Your Password?” button to activate password retrieval. After writing your data the button “Login to ExitLag” will be unlocked. It is enough to click in order to access the main menu of our software. In this screen you can also save your access data with the option “Keep me connected”. Here you can choose the game you prefer in order to optimize it with ExitLag. Use the scrollwheel or your mouse pointer to lower the scrollbar and visualize all the available games. In case you already have a game of your choice, write the name of this game in the “Search” field, located on the top left of the screen, as the image shows. Click with the left mouse button over the chosen game. After clicking, select the region where the server is hosted, using the field “Select a Region” below “Game Region” located in the center of the screen. In this case we use the server São Paulo01 as a demonstration, since the Brazilian server for the game Counter Strike is hosted in Brazil. The option “Use information about previously analyzes rotes” is marked by default since the software will optimize your connection according with the optimized routes history. After the software analyzes the best connections for your route, click the button “Apply Routes”. Done! 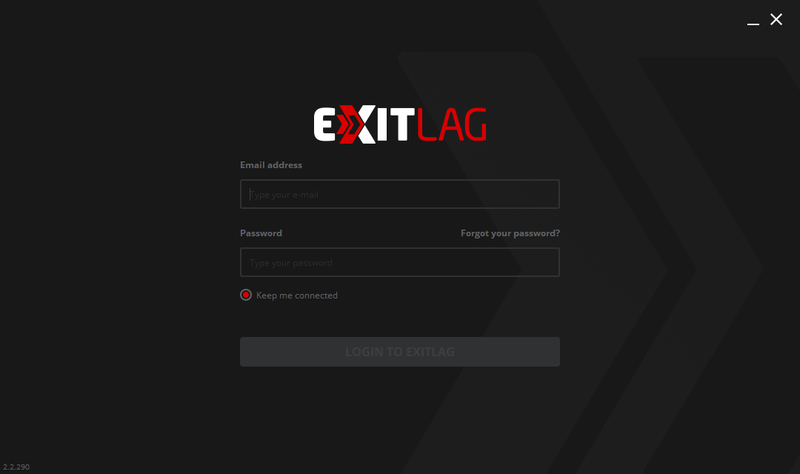 Now all you have to do is enter in the game optimized by ExitLag and the application data will be available on the “CONNECTED” field. Quite easy, isn’t it? This is why ExitLag is the choice of the best players, in the end, whoever plays with ExitLag plays better.